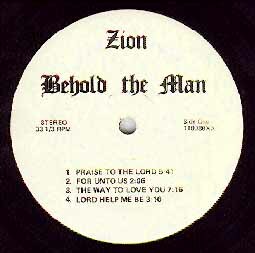 While Rich was attending Cincinnati Bible College in the late 1970's and early 1980's, he became actively involved in an organization called Zion Ministries. Among his activities there, he was formed a band that consisted of him and three other vocalists as well as several instrumentalists. They were very popular among college students, performing throughout the Ohio area for various colleges and churches. The singing quartet performed together throughout the late 1970's and had informally recorded a number of their songs. 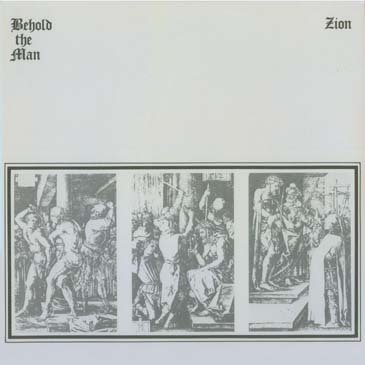 Through a grant from his uncle, they eventually were able to get some studio time to record an album, and in 1981 released this lp, Behold the Man. As far as I know, it was never distributed through normal channels (unless some local stores in Cincinnati were selling them) and was mainly sold to concert-goers after their shows. It was a copy of this album that ended up in the hands of Amy Grant's manager who took the song "Praise to the Lord" and had her record it for her Age to Age album. It became a very successful song for her, and Rich went on to establish a friendship with her that led to his first recording contract and his debut album that was recorded at her home. The album is a group effort, and there is actually only one Rich solo on it. "Heaven in His Eyes" features Rich on vocals and piano, but all of the other selections feature the entire group singing or duets of the two men or two women. Audio clips are available for each song on the album along with the lyrics below. Stand up and sing one more, "Hallelujah"
In addition to the copyrights on the material presented here, the html code is copyrighted by Brian William, 1997. Please ask permission before electronically reproducing it.